- What is the Globally Harmonized System? 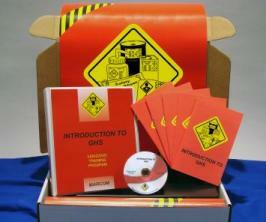 - Why Did OSHA adopt the GHS? - The "Safety Data Sheet". - Container labeling (text elements). - GHS "phase in" dates. The DVD versions of the programs are divided into 2-3 minute "chapters", so the programs can be shown in their entirety in a single session, or individual chapters can be used as the basis for a number of 10-15 "safety meetings. ".